Surely it is too good to be true. An island paradise awaits less than four hours from Australia’s east coast. The diverse ancient landscapes, smiling locals and dazzling blue waters are reason enough to pop over to vibrant Vanuatu. Still not convinced? Check out these 10 reasons to head to this South Pacific nation with kids – by number 10 you’ll be desperate for a beach holiday! 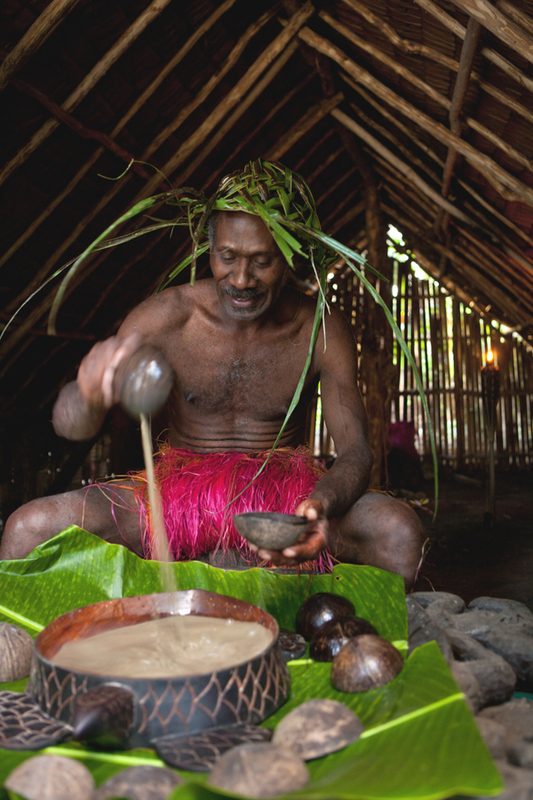 The warrior’s welcome at Iarofa or Ekasup Cultural Villages in the capital Port Vila – where the Ni-Vanuatu people share demonstrations of traditional local customs, hunting and cooking – will have your kids squealing in delight. Port Vila has a variety of excellent restaurants catering to every taste and budget but a Melanesian feast is something no family should miss. 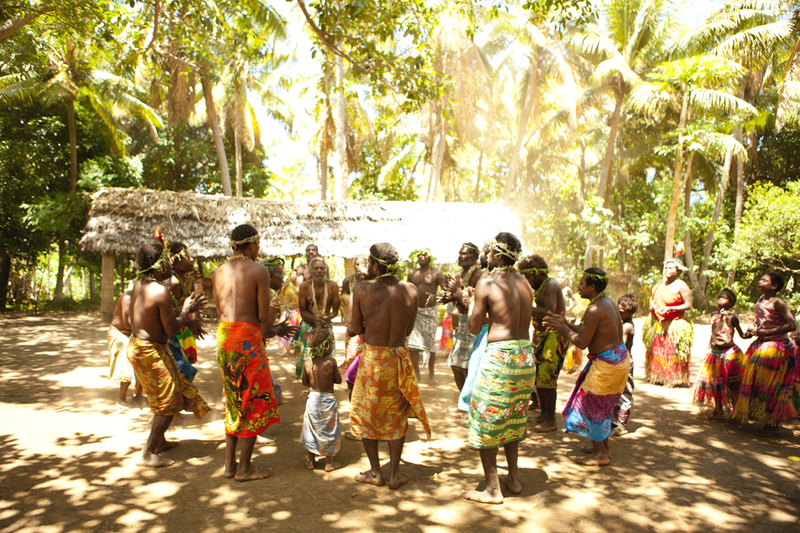 These massive feasts of traditional dishes usually made in an “earth oven” also include fiery and fascinating displays of local custom dancing and are as much a feast for the eyes as they are for belly. The Port Vila Market in Efate is a lovely and lively spot where Ni-Vanuatu women from villages around the island gather in their brightly coloured, floral smocks to sell fruit and vegetables. 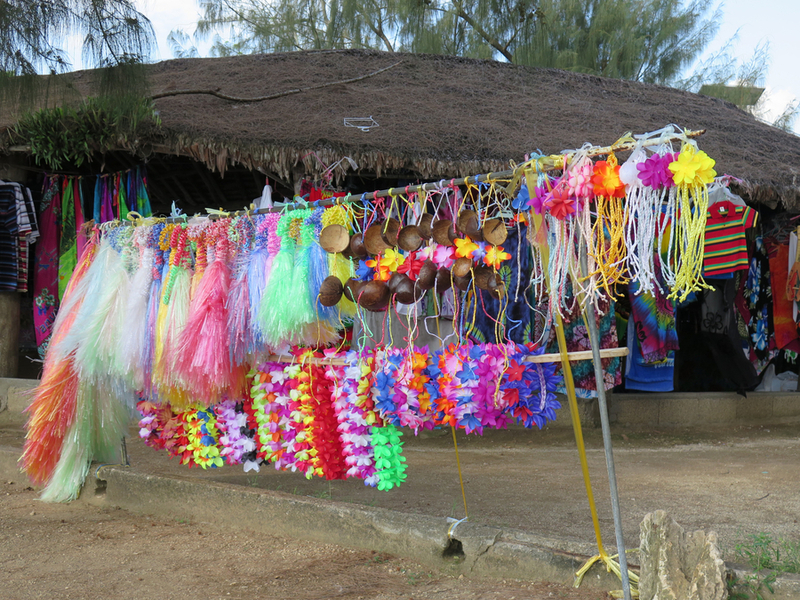 There is also an array of jewelry, carvings and shells and fresh local food. Club Hippique, just ten minutes from Port Vila, offers horse riding adventures for kids, and adults, of all ages and levels. Ride through rainforest, along a sandy beach or by a waterfall, or take advantage of the cooler evening hours and enjoy a stunning sunset ride. Take the walk up and through lush tropical jungle across slow flowing streams and over smooth boulders to the top of stunning 30-metre Mele Cascades where you can plunge into one of the natural waterholes. Or, if you’re feeling less energetic, just relax in the gardens at its base and watch the local children play. 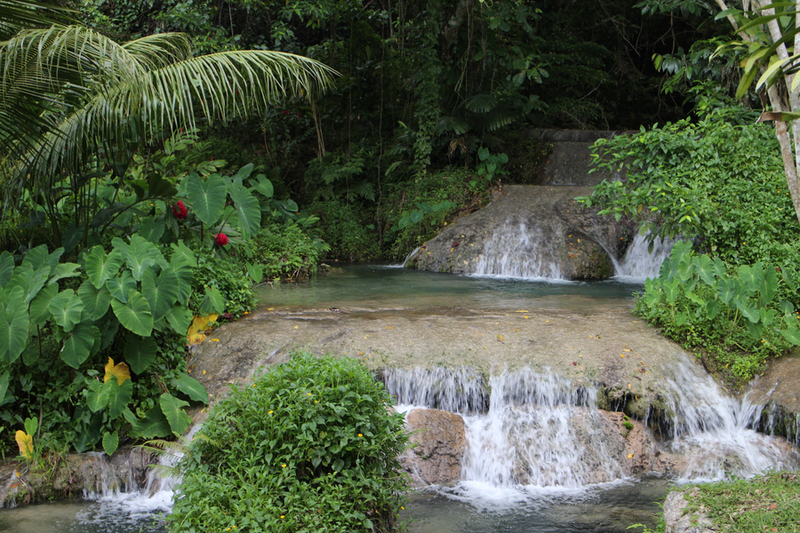 For thrills and spills in the water, Wet ‘n’ Wild Vanuatu, in Port Vila, offers loads of fun for everyone. You’ll find zorbing, a giant water slide, Segways, go-kart racing and sling shot rides to get the adrenaline pumping. A cruise on Efate’s Havannah Harbour on the Coongoola, a timber sailing ketch, is packed with family fun. 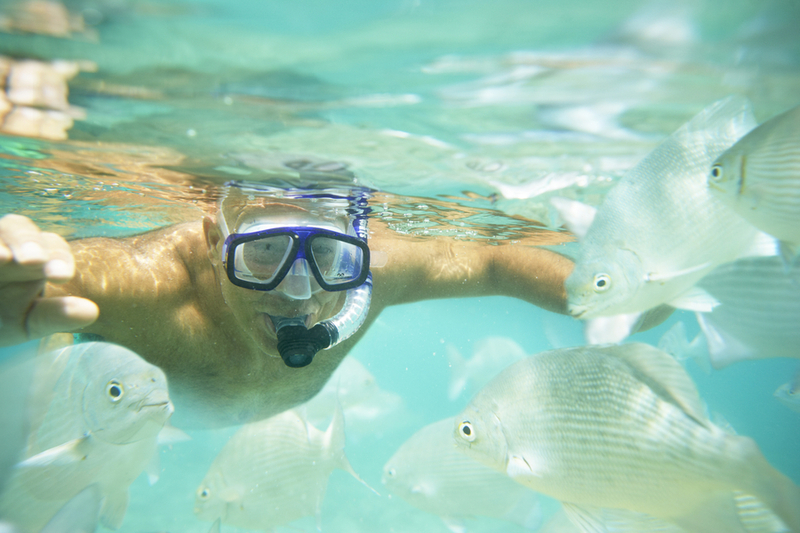 With plenty of stops to paddle and snorkel the reef, a delicious beach barbecue lunch and a visit to a turtle conservation rookery on Tranquillity Island Resort, it’s a perfect day for families. 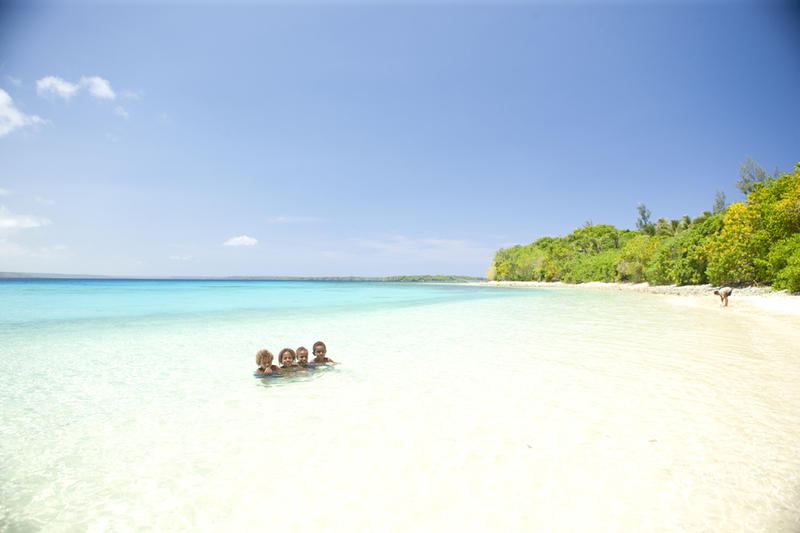 Take the short flight from Port Vila to Espiritu Santo, the largest of Vanuatu’s 83 islands. Covered in lush jungle it is surrounded by stunning white sand beaches and pristine waters that some of the clearest waters in the world. 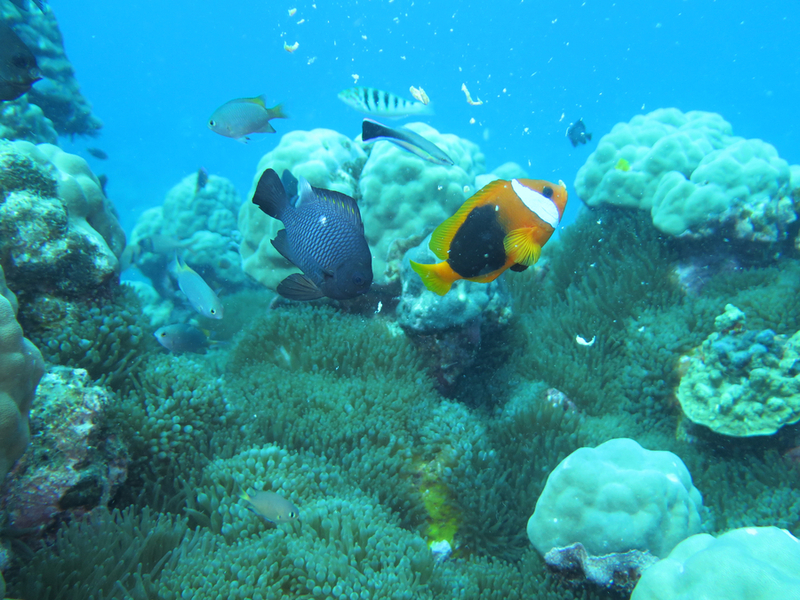 Santo was once a base for 100,000 allied troops who were stationed here in WW2 and the remnants of their equipment, planes and boats are still lurking below the water, along with schools of colourful fish, making it home to some of the best popular dive and snorkeling sites in the Pacific. Champagne Bay, on the east coast of Espiritu Santo, is one of the prettiest beaches in the Pacific. With a backdrop of jungle-strewn mountains, startlingly white sand and neon blue water, it’s the perfect spot to dig your toes in the sand, snorkel in the translucent waters, and feast on local seafood. Enjoy a close encounter with an active volcano at Tanna Island’s Yasur Volcano, around a 45-minute fight from Port Vila. There is no other place in the world where visitors can you stand on the edge of a live volcano and see nature’s pyrotechnics in action. Have the kids bring their postcards to drop in the world’s only ‘volcano post’ and older kids can take a short across a volcanic ash plain and try ash boarding down Mount Yasur’s slopes. Loving the sound of an island escape? Read on! 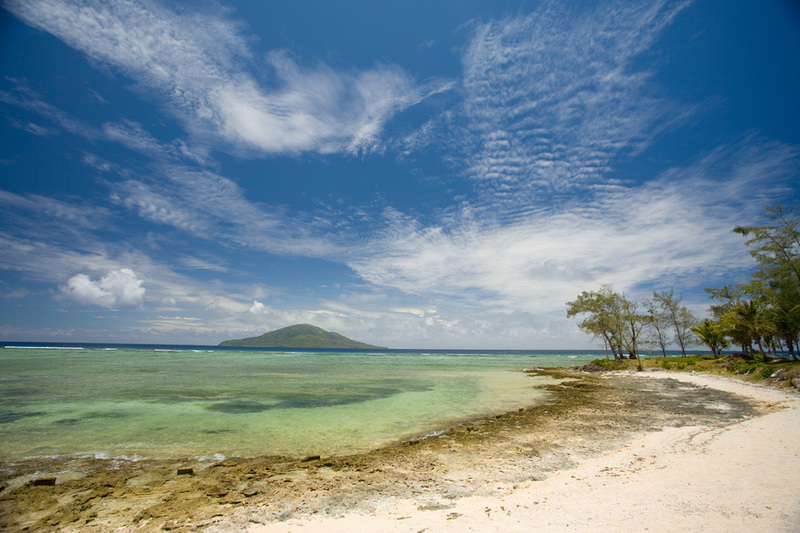 Should you visit Fiji or Vanuatu?